2019: INEC to re-design polling units to curb vote buying – Royal Times of Nigeria. Mr Mustapha Lecky, the South South Commissioner, Independent National Electoral Commission (INEC) says the commission would redesign the structures of all polling units to curb vote buying during the 2019 general election. Lecky disclosed this in an interview with the News Agency of Nigeria (NAN) at Auchi, in Etsako West Local Government Area of Edo, on Monday. 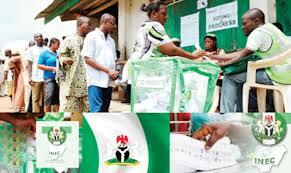 “We are taking measures to ensure that it would be difficult for political parties and their candidates to buy votes. “So those kind of structural re-design of the polling area is what we are going to do,” he said. Lecky urged the media to expose political parties and candidates found engaging in vote buying during the election, to enable INEC prosecute the culprits. “We are not yet apprehending them, that is the work of the police, but we can provide information to prosecute them; the needed investigation will be done by the police,” he said. On the establishment of more polling units, Lecky said the INEC would create additional polling units after the elections as doing so now would be misinterpreted by politicians. He said however that the commission would decongest polling units and create voting points close to the original polling unit. “Unfortunately, we are not going to create them before the 2019 election because it is very political. “Even before we start to gather information so that we can take a decision, people are already saying that INEC has created 30,000 polling units and distributed some to some parts of the country to the detriment of other parts of the country, so it becomes very political.